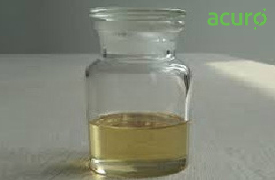 Benzalkonium chloride (BKC) is a nitrogenous cationic surface-acting agent used as a biocide, a cationic surfactant and phase transfer agent. Benzalkonium Chloride (BKC) displays a high level of biodegradability when tested in accordance with oecd test protocol 301c Compatible with non-ionic, ampholytic and cationic surface-active agents Alternative cas no for Benzalkonium Chloride (BKC) : 8001-54-5 un no:1760. Benzalkonium Chloride (BKC) safely incorporates both microbicidal & detergency properties into products for soil penetration & disinfection, which makes it ideal for formulation of hygiene products for personal hygiene, hospital, livestock and food & dairy use. Benzalkonium chloride has powerful potentiating activity in combination with other anti-microbial agents. Safety factor of Benzalkonium Chloride (BKC) leads to use in various topical and ocular products as a preservative and to optimize emolliency and substantivity.